Vancouver, BC — October 6, 2016 — The Museum of Anthropology will soon be home to a significant collection of historical and contemporary Indigenous artworks and a new Gallery of Northwest Coast Masterworks, thanks to the generosity of an anonymous donor, the Doggone Foundation and the Government of Canada. The anonymous donation of more than 200 pieces of Indigenous art, worth an estimated $7 million, is believed to be the largest collection of Northwest Coast First Nations art to return to B.C. in recent decades. The donor was first inspired to amass this superlative collection of Northwest Coast art after seeing totem poles in Stanley Park in the 1970s. 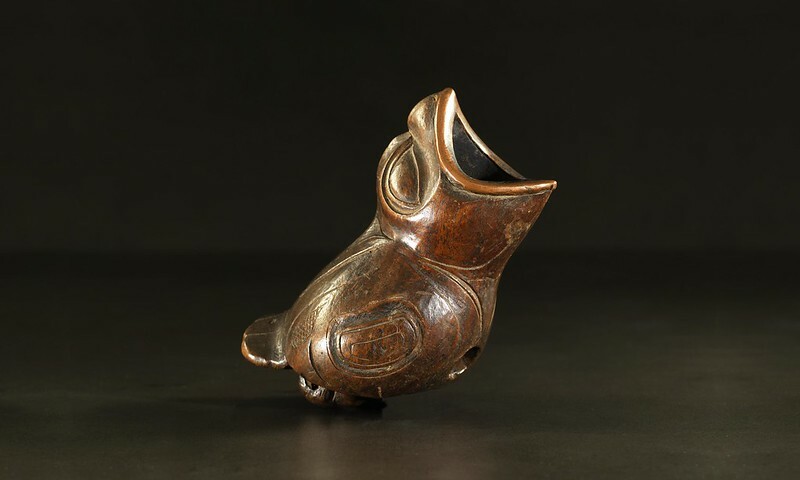 With this donation, which includes rare historical works as well as fine carvings, jewelry, basketry and textiles by Indigenous artists such as Bill Reid, Charles Edenshaw, Robert Davidson, Isabel Rorick, and Dempsey Bob, MOA’s already renowned Northwest Coast art now ranks among the world’s finest. The collection will be housed in a new Gallery of Northwest Coast Masterworks, funded by a $3-million donation from the Doggone Foundation, a Montreal-based charity, and a $500,000 grant from the federal government as part of the Canada 150 Community Infrastructure Program. Construction of the new gallery is underway and is expected to be completed in time to open to the public by National Aboriginal Day, June 21, 2017. Along with highlights from the donated collection, the gallery’s inaugural exhibition will also include works from MOA’s collection as well as private and institutional lenders, and will feature the voices of contemporary Indigenous artists reflecting on the significance of the works shown. Bringing these objects closer to home supports a new generation of First Nations artists who are studying and teaching the historical development of their arts, the creative legacy of past masters and their techniques of production, and ways of interpreting the connection of these works to ancestral stories and cultural practices today.